A very large specimen of Zelkova abelicea just above the plateau of Omalos. 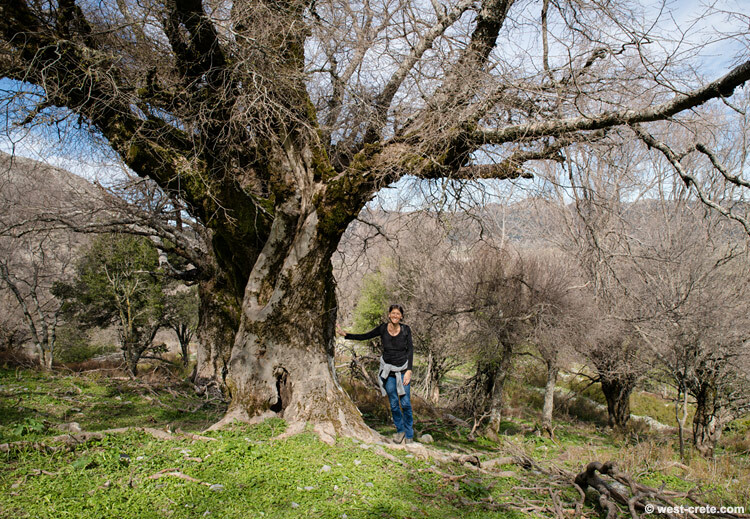 This is the only Cretan endemic tree. I had to get my trusty model to stand next to it in order to show its exceptional size. Cretan shepherd's crooks used to be made from Zelkova but as they are now classed as endangered (the trees, not the crooks) and a crook is made from an entire young tree it is forbidden by law to use this wood.